UPDATED NEW QUOTE BY ULDIS SPROGIS 247!!! This entry was posted in common sense and tagged biodiversity, common sense, human nature, materialism, pollution, quotes, relationships, truth on March 29, 2016 by uldissprogis. 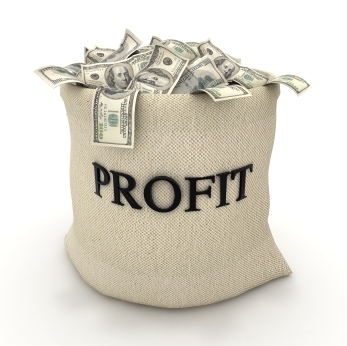 Profiting encourages efficiency but it puts emphasis on quantity of money and not on the qualitative use of money. 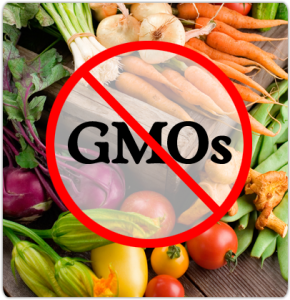 The biodiversity and quality of our food supply has been ruined by pursuing profit with factory farming, monoculture agriculture, overly processed foods with artificial additives, and trying to monopolize the food with patented unhealthy GMO’s. In the short duration agriculture is making a good profit but in the long duration the emphasis on profit and not the quality and diversity of the food is creating a very unhealthy food supply. Making a profit on invested money in the short duration is corrupting the money management with risky investments in the form of derivatives and manipulation of the stock market prices which are not based on fundamentals but on pure gambling speculation. Big money is gambling or radically speculating with money with government guarantees and the public is paying for speculative failures with incredible budget deficits in the trillions of dollars. Pure capitalism with an emphasis on making as much money as possible in the shortest amount of time is being applied to growing food and managing money. This shortsighted profit motive is resulting in unhealthy food and a threatening financial collapse in the long duration. Manufacturing products in the cheapest way possible and not sustainably is also generating more pollution than necessary. China is a perfect example of excessive pollution of the environment due to an over emphasis on short duration profit over the health of the environment. The Chinese economic miracle is paying a high price by polluting the environment for future generations who will have to live with the pollution and their long duration health will suffer. The service industries are the one area where profit is essential because if you remove the profit incentive and competition then the workforce will become terribly inefficient and not give the most work output for the dollars invested. Businesses with unions are less profitable than businesses without them and negotiated overly generous pension plans are bankrupting the businesses and organizations which have to pay for them. Government inefficiency is legend and a perfect example of what can happen when profit does not play an important role in keeping the organization efficient. Producing goods in great quantity with the profit motive is resulting in a sacrifice of quality where it really counts, quality food. Making more money with big money not tied to tangible assets is resulting in a corrupt financial management system which is threatened by bankruptcy in the long duration. Planning for the future with a secure money supply where the value of money remains constant and encourages long duration planning and savings for emergencies and retirement is essential for a just economy. Remove an incentive to save some money for the future or a rainy day and individual finances, corporate finances, and national finances become dysfunctional and teeter on the verge of bankruptcy. The use of money or the financial system must be disciplined so that it encourages long duration planning and not just short duration planning. Too much emphasis on short duration money profits is resulting in a world or money not tied to reality and if reality is denied then disaster is just around the corner. The greatest danger is the destruction of wilderness or biodiversity which is the only safety net for civilization when the domestic food supply becomes too unhealthy to consume. This entry was posted in business, common sense, education, money, science, society and tagged business, common sense, education, food health, language, money, pollution, profit, science, society, the truth about profit, words on August 23, 2014 by uldissprogis.